New boy Fraser Fyvie is unlikely to start. There could be a major reshuffle in attack with Paddy Madden and Andy Williams replacing Will Hoskins and James Hayter. Alan Tate is still out, with Marek Stech and Liam Fontaine unlikely to make the squad. Kelvin Wilson is unlikely to return from injury. Darius Henderson could be joined in attack by Simon Cox with Dexter Blackstock and Jamie Mackie on the bench. Yeovil picked up their first home point of the season last week but they are still rock bottom of the league having not won since the opening day. Town have scored just six goals in their 11 games so far this season and they desperate need last seasons hitman Paddy Madden to find his scoring boots. 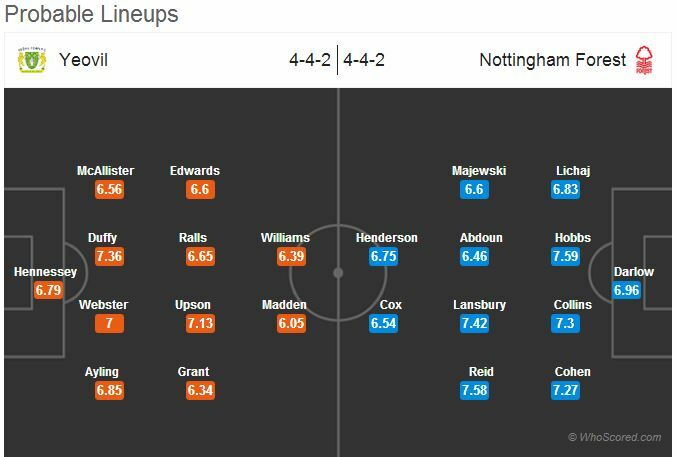 Nottingham Forest are failing to turn performances into results with just two wins from six games for the promotion hunters. 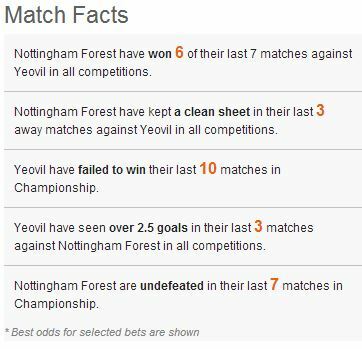 Forest are prone to taking the lead in games before letting the opposition back into it, but Yeovil will have to be at their best to match Billy Davies’ side at Huish Park.